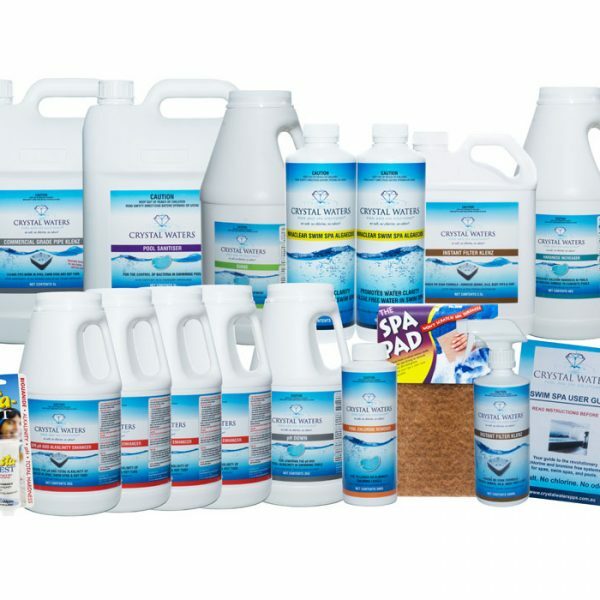 Our 5L Swim Spa Kit is the largest swim spa kit available and it contains everything you need to not only start your Chlorine and Bromine free bathing experience, but also keep it going for a long period of time without needing to reorder anything! We expect the sanitising products in this kit to last approximately 2 years and beyond, in a 6000L swim spa. Other chemical’s life span will vary depending on each customer’s individual requirements. 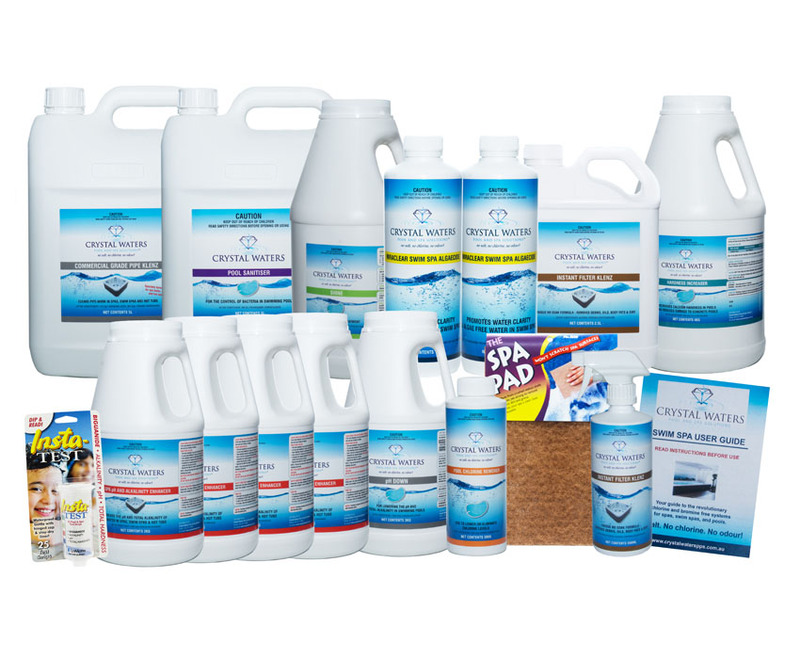 To learn more about each product you’re receiving, please return to our Swim Spa Products page and click on each individual product.